Lahore, January 30, ( Express Tribune): For the first time in Pakistan’s history, a Sikh lawmaker Sardar Mahinder Pal Singh, has been appointed Parliamentary Secretary. The Department Mahinder Pal Singh will be Parliamentary Secretary of, is likely to be announced in the next couple of days. 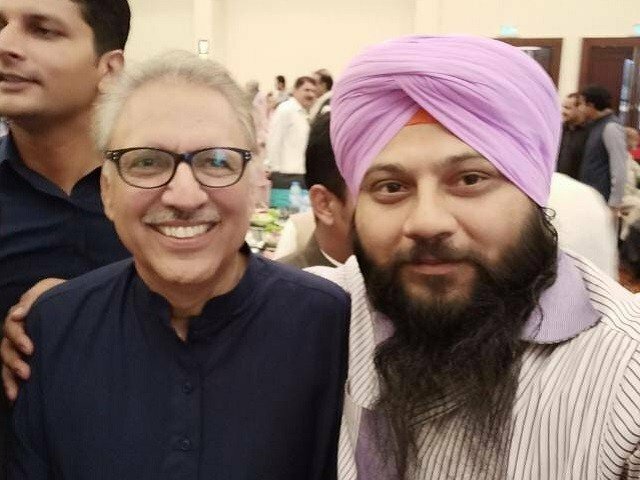 Singh was elected Member of the Punjab Provincial Assembly on a reserved seat for minorities on a Pakistan Tehreek-e-Insaf (PTI) ticket from Multan. Speaking toExpress Newson Tuesday, Singh said the decision was evidence that the minorities enjoy freedom and rights in Pakistan. He said an increasing number of representatives from different minority groups are being given key responsibilities, referring to the appointment of a Sikh youth as Public Relations Officer (PRO) of Punjab governor in the recent past. A Hindu woman has been appointed civil judge in Sindh, which is a clear sign of the nation’s trust in its minorities, he added. Before being given the key responsibility, Singh had beenmaking waves in the Punjab Assemblyowing to his Sikh background coupled with his overt Pakistani patriotism. He was draped in green and white turban during his oath-taking ceremony. The patriotic turban drew the attention of the entire house. Singh was elected MPA on a reserved seat for minorities on a Pakistan Tehreek-e-Insaf ticket from Multan.